With insurance prices for young drivers constantly on the rise, some companies are offering alternative options to help keep under 25s on the road. Young Marmalade runs a scheme that tracks driver behaviour, and now sat nav maker TomTom has paired up with Motaquote to introduce a similar system. The new ‘Fair Pay Insurance’ system rewards good driving with lower premiums. Unlike the Young Marmalade scheme, it is aimed at all drivers, young and old, and, rather than basing the price of insurance on gender, age or postcode the system uses technology, in the form of a special TomTom PRO 3100 sat nav unit, to measure your driving, picking up on things like hard braking, excessive speed and cornering too quickly. "We've dispensed with generalisations and said to our customers, if you believe you're a good driver, we'll believe you and we'll even give you the benefit up front," said Nigel Lombard, Managing Director of Fair Pay Insurance. "This is unlike some other telematics-based schemes where you may have to prove your ability over a number of months. So if you think of your insurance as your car's MPG - the better you drive, the longer your fuel will last. It's the same with Fair Pay Insurance, good drivers get more for their money and in that sense they will pay ultimately less." 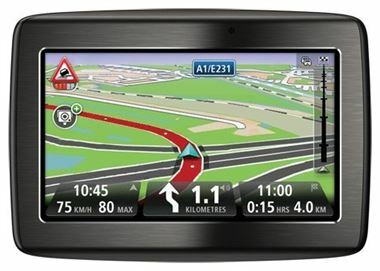 What do you think of systems that monitor your driving? Are they a good idea or do they invade your privacy too much? Let us know on Facebook and Twitter.